Though we offer standard designs, we are certainly not limited to them. 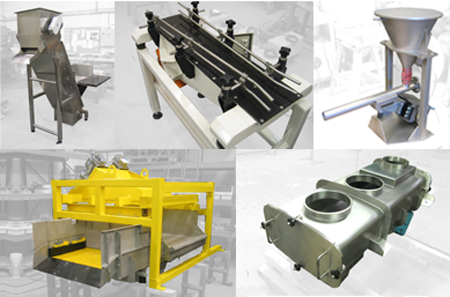 All of our equipment can, and frequently is, designed and manufactured to intricate bespoke requirements. If you would like to discuss the potential of a special or bespoke handling solution, please don't hesitate to give us a call or email with the requirements of your application. We are more than happy to help.